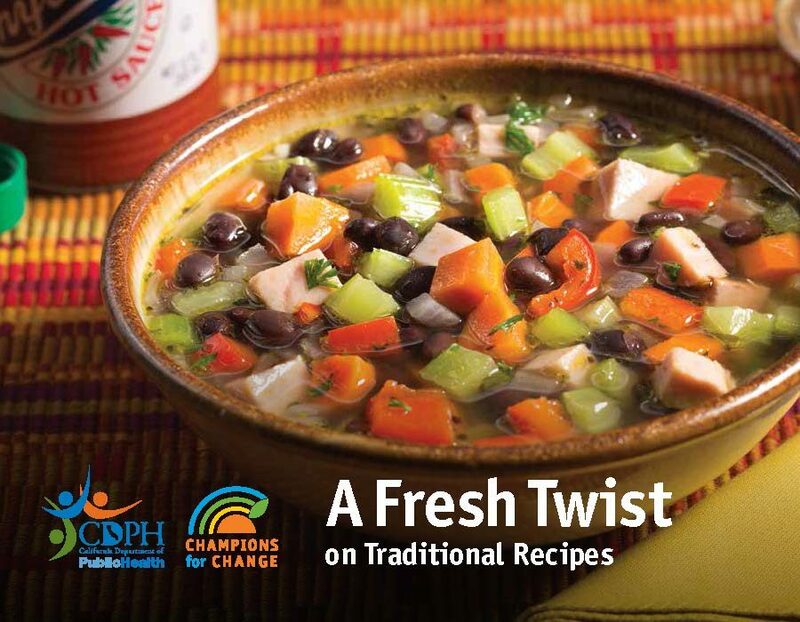 In 2013, UC San Diego Center for Community Health collaborated with Leah’s Pantry to develop recipes with City Heights residents for a new cookbook to be published by the the California Department of Public Health NEOP Branch. Community members gathered for cooking parties at the City Heights Wellness Center over several Friday evenings to prepare, test, and enjoy healthy recipes inspired by traditional favorites. This Spring, the cookbook – A Fresh Twist on Traditional Recipes – was released with 30 recipes including breakfast, sides, main dishes, snacks and even a few deserts. Particular favorites among our group were the Calypso Island Chicken and Sweet Potato Apple Pie. Leah’s Pantry is busy translating the recipes into Spanish and Chinese for eatfresh.org (coming soon!) but in the meantime, they’ve created a video showing how to prepare one of the new recipes – Tangy Cabbage.